I made this chicken salad from the leftover roasted chicken the night before. It’s just as good this way, as it was the first time around. You don’t even feel like you are eating leftovers, or as I like to think of them as planovers. Combine all ingredients, refrigerate for at least an hour. Serve. Enjoy. 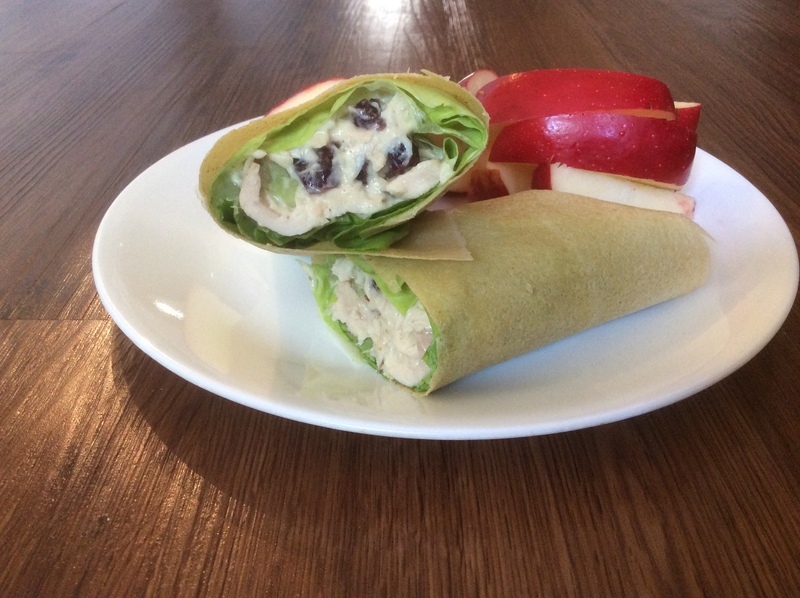 I sometimes use butterhead lettuce for the wrap, however, this time I used paleo wraps. I like both.